The popularity of various social media platforms these days is a heaven-sent trend for all advertisers; their brand can potentially reach millions of users at lightning fast speed with just a single post. On the negative side, these platforms will also ensure that any social media faux pas get circulated just as fast. Despite employing teams of experts to handle their posts, cases of celebrities and companies posting something they shouldn’t have—and suffering the sometimes costly backlash—continue to rise. But even social media companies themselves are not exempt from committing blunders as proven by the recent plunge in Snapchat’s value which fell by around $800 million after the company allowed the posting of an offensive ad on its platform. The offensive post was an ad for a game called “Would You Rather?” where users are given the option to either “Slap Rihanna” or “Punch Chris Brown.” However, the ad’s content is particularly a sensitive topic for Rihanna since it is obviously alluding to the 2009 domestic violence incident involving her and ex-boyfriend Chris Brown. Rihanna promptly issued a statement in response to the tasteless ad. In her Instagram story post, the singer expressed her shock why the platform allowed the ad’s posting and even wondered if it was because she is not a Snapchat fan. While the platform quickly pulled the ad and issued an apology, it failed to placate the singer. 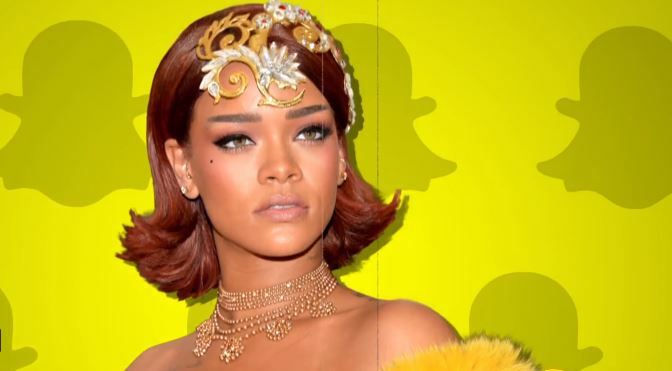 Rihanna even pointed out that Snapchat seems to be making a joke out of the very serious issue. Wall Street was also not pleased with Snapchat’s lapse of judgment. On Thursday, the company’s shares fell by 5 percent followed by a 2 percent decline the next day before it rebounded. The stock’s net decline for the two-day period was a massive 4.7 percent.